Swan Hill Rural City Council’s vision is for a prosperous and healthy community, enjoying quality facilities and services. We can help to create a healthy community directly, through the delivery of programs like maternal and child health, immunisations and community care services for our elderly residents. Swan Hill Rural City Council’s vision is for a prosperous and healthy community, enjoying quality facilities and services. We can help to create a healthy community directly, through the delivery of programs like maternal and child health, immunisations and community care services for our elderly residents. We can also do it through the delivery of art and cultural services, community and land use planning, waste collection and recreational facilities. Access to income, education, employment, living conditions and social connections also matter when it comes to health. While Council has strong influence in each of these areas, it is essential that we work alongside health and wellbeing experts in our community to achieve our vision. 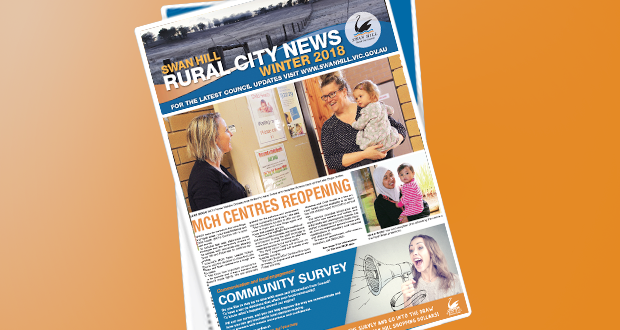 The Southern Mallee Primary Care Partnership Swan Hill Health and Wellbeing Partnership includes nine key health and community service organisation from the Swan Hill region. 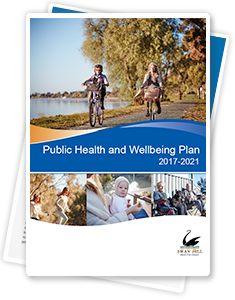 It is the organisations within this Partnership, including Council, that will lead the way in this plan’s delivery, ultimately aiming to create positive health outcomes for our community. The Partnership will report on plan outcomes annually and I look forward to seeing some of the excellent initiatives in this plan come to fruition.